1. If I'm running this as a 1x6, what sort of downtube shifter do I get that fits on here? It's obvious there was a bracket for the left hand side, but i neither want or need that. Presumably something Simplex, but are there other options? though certainly not as nice! Last edited by jptwins; 10-03-11 at 10:58 AM. 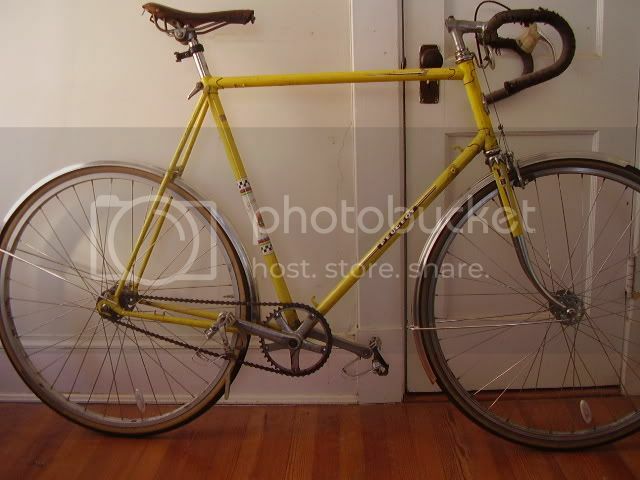 I had a '72 UO-8 and loved the bike. Various bits did disintegrate though (like the simplex shifters). I recall that the downtube had a single lever boss (as your picture shows). There was a clamp on left shifter boss that had a hole for the brazed one to fit through. It appears that the brazed boss is fairly standard, so take your choice of levers. My U0-8 came with the delrin Simplex levers that weren't all that great. I would not bother with a cable housing stop. Just route bare cable to the dropout stop. For cable routing at the bottom bracket, you could get one that looks like this: Or maybe install one of the plastic ones that bolt to the bottom of the bracket. I'm glad you asked about the downtube boss. My wife's UO-18 that I'm building for her has the same thing. We also don't have the original shifters and clamp. Going with bar end shifters on her build. I'm not a fan at all of stem shifters myself but I recently happened to have salvaged a single Shimano stem shifter (along with a Suntour Honor RD) from an otherwise crap bike of similar vintage to yours in the junkyard - these items might be just the ticket for your build - if you're interested, you can have them for a token donation to BF, on your honor. Just send me your shipping address. I don't have photos, but I'll get some if you're interested. 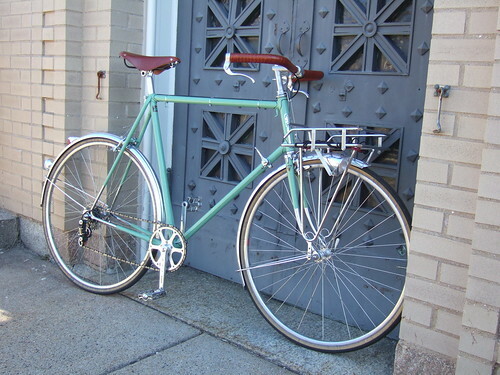 @old's'cool : i'm also not a fan of stem shifters and have taken them off of every bike that had them. thanks for the offer though. @gmt13 - i love the idea of just doing cable routing, and skipping the cable. great idea! So that leave my real question: which brand of shifter (or what combination or parts) do i need for that shifter boss? 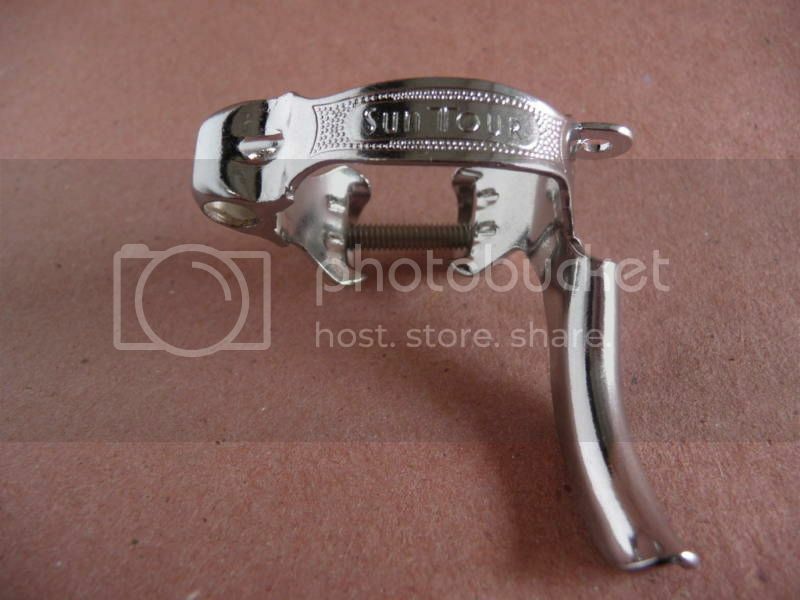 The shimanos and suntours that i tried at my local LBS (who has a bin of used shifters) all seemed incompatible. thanks! Generally you can find one on eBay for a few bucks. 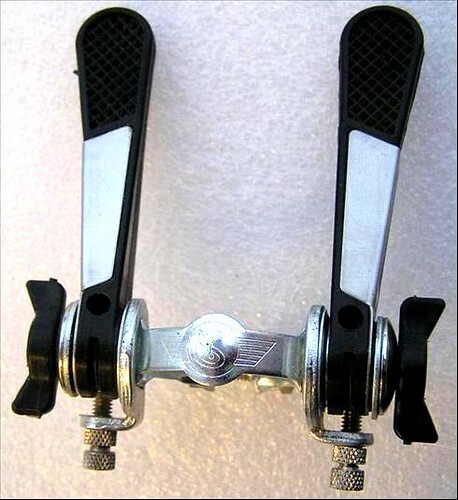 These shifters are common on Ebay. I would guess that they would work; however I reckon there is some chance that Peugeot used some strange custom diameter on the boss. Hopefully someone with more current memory will chip in. A simplex Criterium shifter will fit and would be an upgrade. Most braze on Simplex shifters should fit that braze-on, I believe. As for the cable guide, make sure you get the right one, not sure if what you want to see is included in this article on the Peugeot U08, but you might see what you need. If you send me a PM, I can probably supply what you need. I did not find that most Simplex shifters fit that boss. Retrofrictions and some all aluminum shifters I tried did not fit. Criteriums and Prestiges did fit. Prestiges break easily and I wouldn't use them. this will be a slow build, but I'll post more when it gets going! My opinion of the UO-8 is in the middle. For a bike of this caliber, it rides great. But that's not saying much. You can get something better for the same money or just slightly more, such as a Raleigh Super Course. The UO-8 is whippy and slow by comparison. The UO-8 isn't all that well made, either. But it's a classic, and as I said, if you're going to ride a cheap 1020 (or whatever) frame, you can't get one that rides better than this one. Sorry that sounds like faint praise. I commuted on one happily for years. And mine was bent, and it pulled to one side, but I was happy. noglider, considering it was a free non-bent frame nearly my size, I will gladly build it up based on that praise. However, it won't stop me from looking for other frames, on which those components might be happier. There ya go. That's what I was driving at. I got tired of mine when I worked for hours to get a cotter out. Then I lost a chainring bolt. And as I said, the frame was bent. I said enough and stripped it down. I moved everything to a Super Course, expecting the ride to be similar. Well, the Super Course is now my favorite of my many bikes. It's a mid-level bike, and it's just so perfect for me. I think you can finagle almost any 'campy style' lever to fit the boss but you'll find the threading to be a goofy size so you may need to re-tap it to the industry standard. You mean it's not 5 x 0.8? If you tap the boss' threads to M5 x .8 I believe you can mount just about any down tube shifter you like to the boss, as miamijim says. And, like Auchen says, you just need a down tube cable guide. You just won't use the stop or guide on the non-drive side. No. I believe it is M4.5. I'm not certain about the pitch, but it doesn't really matter to me as the bolts couldn't be easily found anyhow. Five minutes with a tap and you've made it useful again. Last edited by ColonelJLloyd; 02-09-12 at 07:59 AM. They ride well and I think you will likely enjoy the bike. The UOs had a funky shifter set up, with a braze on on only one side. Simplex had a clamp that worked with this. Since yous is gone, I'd just find a Simplex ratcheting clamp on and go from there. 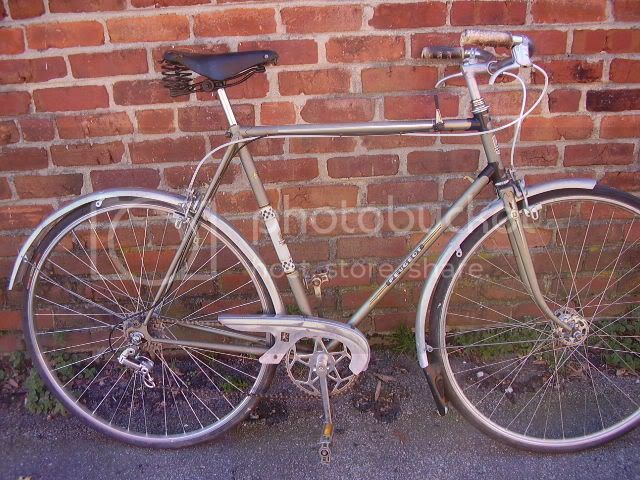 There was only one braze on so they could adapt the same frame set to different models, more in the Euro market than in the US. That's my best guess anyway. They're really fun bikes to tinker with, as you don't have to worry about them much and the frame is a sturdy base. Probably your biggest concern will be bottom bracket work arounds, but VO sells french thread bottom brackets, so you should be fine. Have fun both wrenching and riding!